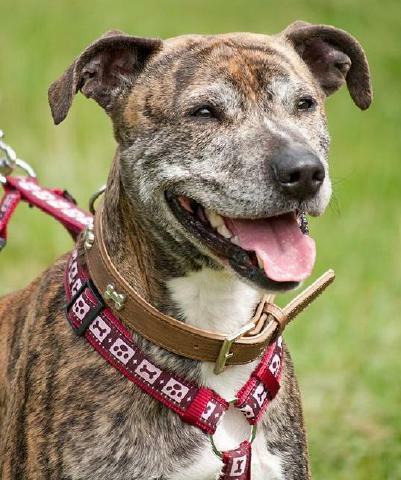 Homing Requirements: Bailey could be a first time dog owner's dog. She could live with children and/or another dog. She would enjoy a secure garden to play in and a life style that centers around her needs. 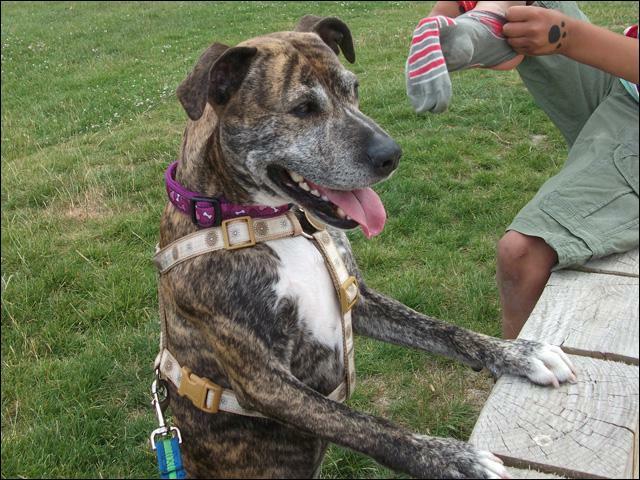 Her Story: Bailey was found stray, chipped showing she grew up in a flat area of South Central London. Her owner was uncontactable. She has been spayed and fully vax'd. 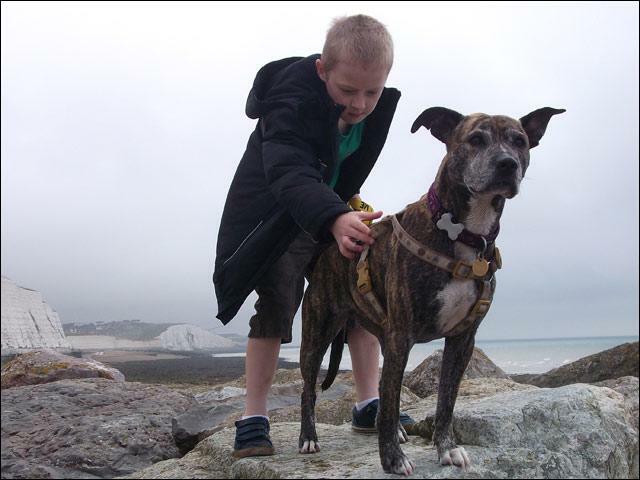 Bailey was fostered where she proved herself on all accounts. 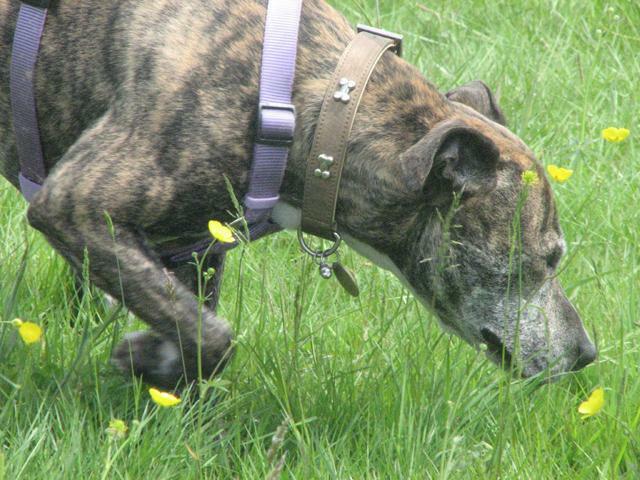 Bailey is now in kennels near Godstone, Surrey. Advert: Bailey is a precious gem. She delights in company and welcomes everyone. She is a joy; she has a fun personality and is playful. Her temperament is wonderful. Her house training is exceptional. 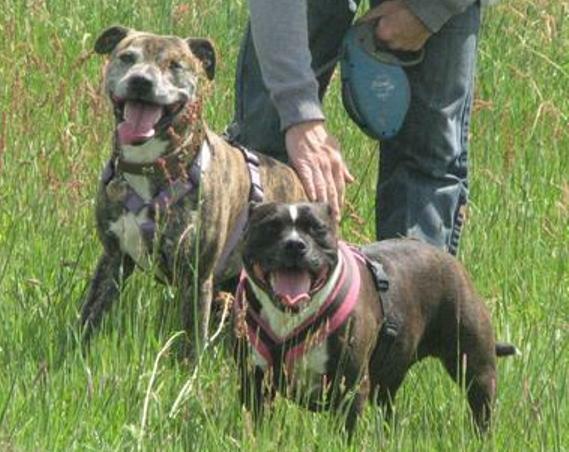 She meets dogs well with friendliness and could live with another. She is very interested in everything out on her walks so pulls a little but not excessively. Bailey travels well. 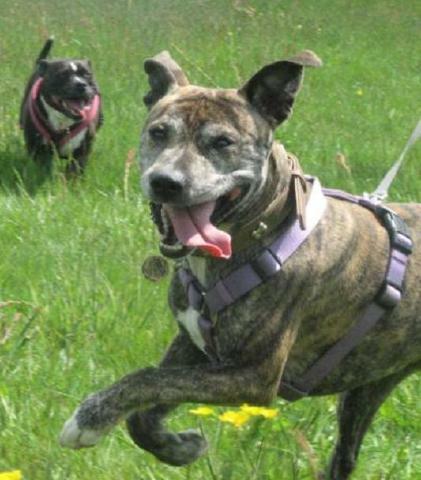 Bailey is 4 years old medium sized Staffie cross with a soft lemon brindle coat. Bailey is everyone's friend and deserves the best now. She needs a family to support her and provide companionship, giving her time to settle and enjoy all that life can offer. An easy dog in our books and her fosterers loved her truly. Interested in homing Bailey? Please click to complete our on-line homing questionnaire to match a suitable dog with your lifestyle. 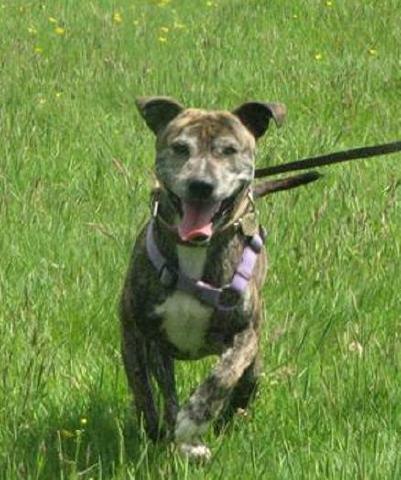 Original Referral Details: Bailey was found stray chipped on the 16th of May. Her owners didn't respond to telephone or written letter. She was spayed, advocated and 1st vax'd. She was fostered for a weekend and proved good with dogs and housetrained.